Richard Franklin Chew (born June 28, 1940) is an American film editor, producer, and cinematographer, best known for his Academy Award-winning work on Star Wars (1977), alongside Paul Hirsch and Marcia Lucas. Other notable films include One Flew Over the Cuckoo's Nest (1975), Risky Business (1983), Waiting to Exhale (1995), That Thing You Do! (1996), and I Am Sam (2001). His career as an editor and cinematographer of a variety of films spans more than four decades. Born of Chinese immigrant parents in Los Angeles, Chew attended its inner-city schools, served in the U.S. Navy, and graduated from UCLA with a B.A. in Philosophy. After a stint at Harvard Law School, Chew, inspired by the independent cinema of the 1960s, left school to pursue a film career. Starting with his camera and editing work on documentaries, such as The Redwoods, an Oscar winner for Best Short Documentary in 1967, he eventually transitioned to editing feature films as co-editor on Francis Coppola's The Conversation, Miloš Forman's One Flew Over the Cuckoo’s Nest, and George Lucas's Star Wars. During his varied career, he has edited films for actor-directors such as Jack Nicholson, Tom Hanks, and Forest Whitaker. Other writer-directors with whom Chew has worked include: Cameron Crowe, Paul Brickman, Bruce Joel Rubin, and Emilio Estevez. Chew was Oscar-nominated for One Flew Over the Cuckoo’s Nest. He also won British Oscars (BAFTA) as co-editor on both The Conversation and One Flew Over the Cuckoo’s Nest. His work on Shanghai Noon was nominated for Best Feature Comedy by American Cinema Editors. 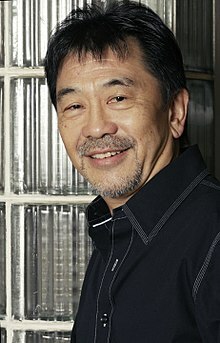 At various times throughout his editing career, Chew has taught and lectured with the goal of enhancing audience appreciation for the cinema arts. For over thirty years, he has appeared at art schools and colleges, churches, and community groups. On January 27, 2011, he was honored at the Detroit Institute of Arts with “An Evening with Richard Chew,” a program featuring clips of some of his extensive work plus an interview conducted by DIA film curator Elliot Wilhelm. Additionally, Chew was named Allessee Visiting Professor of Media at Wayne State University for the 2011 Spring semester. In September 2013, Chew was selected as a Duncan Littlefair Great Speaker in the Creation Talks Series (http://www.creationtalks.org/about-us/duncan-littlefair-great-speakers/), joining the ranks of renowned speakers from the worlds of politics and arts. He spoke about the power of music in film at the legendary Fountain Street Church in Grand Rapids, Michigan. . He is a member of the Academy of Motion Picture Arts & Sciences, Motion Picture Editors Guild, and American Cinema Editors. ^ King, Susan (April 20, 2007). "Long ago and far away: `Star Wars' vets reminisce". The Los Angeles Times. Retrieved July 29, 2012. ^ a b Kunkes, Michael. "Cutting with a Conscience: Richard Chew is an Ambassador for the Under-represented". Editors Guild Magazine. Archived from the original on October 21, 2012. Retrieved July 29, 2012. ^ "Awards for Shangai Noon (2000)". IMDB. Retrieved July 29, 2012. ^ "Film Editing, The Invisible Art: An Evening With Richard Chew". Detroit Institute of Arts. Archived from the original on February 22, 2014. Retrieved July 29, 2012. ^ "News and Announcements: Richard Chew presents four DFT Double Features in June". Wayne State University CFPCA. Retrieved July 29, 2012. Kunkes, Michael (November–December 2006). "Cutting with a Conscience: Richard Chew is an Ambassador for the Under-represented". Editors Guild Magazine. 27 (6).